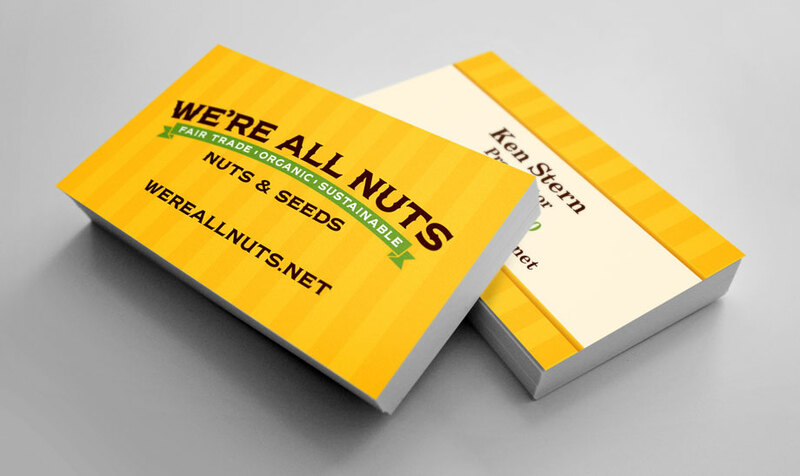 Ken wanted to sell fair trade, sustainable, organic nuts at different Farmer’s Markets around the area, and he needed a logo. He wanted something that had one foot in the old (showing the heritage of doing something by hand, the right way, the honesty of a hard day’s work) and one foot in the new (concern for the land and the people who work it). We wanted to give him something clean, but memorable. We used an 1800′s era font (but used nuts as some of the punctuation), and then used a background reminiscent of a stylized, contemporary awning.